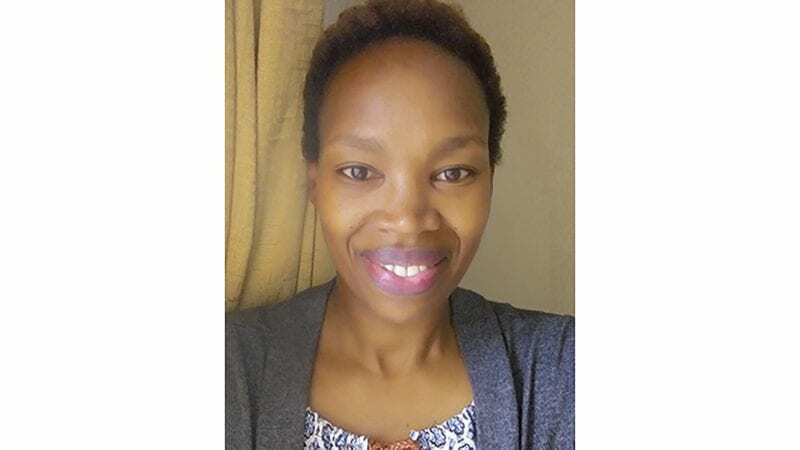 Who: Joan Nyaki, HERproject Kenya Lead, BSR. 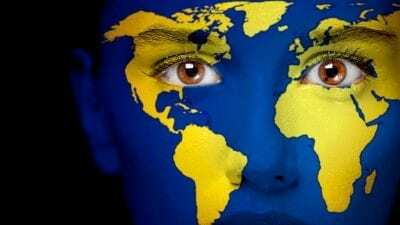 BSR is a global nonprofit organization that works with its network of more than 250 member companies and other partners to build a just and sustainable world. From its offices in Asia, Europe, and North America, BSR develops sustainable business strategies and solutions through consulting, research, and cross-sector collaboration. What: I have led on and supported the successful launch of nine HERhealth and three HERfinance programs in Kenya. HERhealth and HERfinance are a part of HERproject – a collaborative initiative that strives to empower low-income women working in global supply chains. We bring together global brands, their suppliers, and local NGOs to drive impact for women and business via workplace-based interventions on health, financial inclusion, and gender equality. Personally, I provide support for the local partners to ensure that the standard HERproject methodology is used effectively. 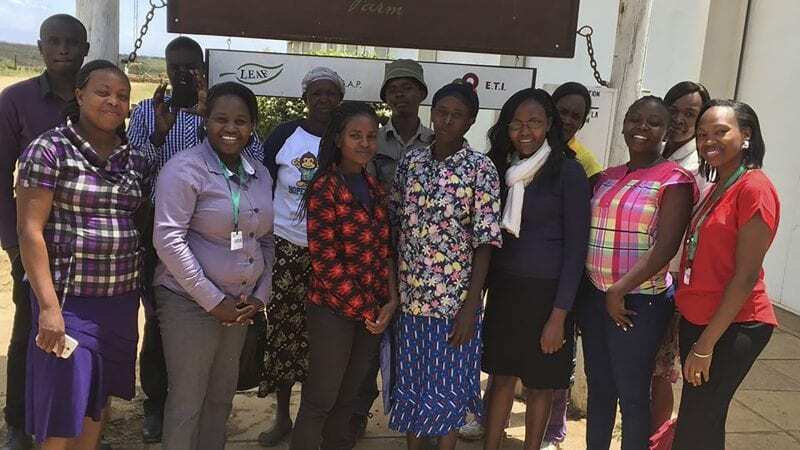 I also provide guidance and oversight for the Kenya Flower Council to help them recruit farms to participate in HERproject, and I’m currently overseeing the implementation a new HERhealth program with 13,000 tea smallholders. Where: I work from my home in one of the rooms where I have my clutter-free desk, or in the dining room. Since my kids are at school during the day, I have the house to myself. I also go to the local implementing partners’ offices for program meetings at least once a month. We travel together to different workplaces that are implementing HERproject – especially management engagement meetings such as program kick-offs, mid-term check-ins, and final program meetings. I am also in constant communication via phone, Skype, and email with the local partners and with my colleagues in Paris. My work has the greatest impact for women workers on flower and tea farms, as well as in garment factories. Through HERproject, these women workers are empowered with health knowledge, giving them the agency to make better and informed decisions for themselves and their families. The women workers also become aware of the value of and are accessing health facilities. This has contributed greatly to the business benefits for farm and factory owners who see less absenteeism, less turnover, more productivity, and much happier and motivated workers. Why: I’m working on HERproject to ensure it reaches its goal of empowering women and men workers in three sectors (tea, flower, and garment) with knowledge on health, financial management, and gender equality in workplaces. When I heard about HERproject when it started in 2012 in Kenya, I was working with BSR’s current local partner as a program officer. In 2014, I took the opportunity and applied for the position of HERproject coordinator following the successful completion of the HERproject pilot program in 2013-2014. I wanted to work on this program because I could already envision the impact it would have on the low-income women working in the three sectors. I have always wanted to work where I am contributing to the improvement and betterment of women’s and girls’ lives in Kenya, and HERproject was the perfect vehicle. In 2015, I successfully applied for my current position as a management consultant for BSR and have never regretted this decision. When: My work hours are quite predictable: I work from Monday to Friday , 8:00 am to 5:00 pm. Sometimes I work later during busy periods. When we have program kick-off meetings in workplaces that are far away, we travel to the workplace as early as 6:00 am or the day before. How: I usually start my day by reading and replying to emails, then reviewing baseline / mid-term / end line / program reports via the HERproject online portal. These reports let me understand how effective our programs are, how many women we have reached, and so on. I also get to read some of the inspiring stories of change. On certain days I visit our local implementing partners for program meetings, where we discuss progress and review next steps. I also have calls with local partners, and I talk to farms that may be interested in joining HERproject. My busiest days are when I have a lot of program reports to review. The Best: My favorite part of the job is when new farms enroll in HERproject, or when I read or hear how the program is impacting the lives of many women and men in the flower, tea, and garment sectors in Kenya.